Please be advised that if you are bringing a boat and renting a vacation home, you are responsible for understanding the rules and regulations of local waterways and knowing exactly where all public boat launches and facilities are located. Please Note: Not all lakes in the Adirondacks have public boat access. Therefore, it is essential that you do your research before you arrive in the Adirondacks. Rob Grant and Associates takes no responsibility for any of the above. We recommend you contact the local DEC office for information. Let us help you choose the perfect Adirondack hideaway for your vacation! Whether it's a secluded 2 room cabin miles from nowhere or a spacious 6 bedroom home in the heart of Lake Placid, we can offer the best of both worlds! If you are interested in obtaining further information on any of our listings, please feel free to contact our office anytime via fax, phone, or e-mail. From Route 3 turn right at the light onto Main Street. Turn left onto Broadway down the hill. Rob Grant & Associates is on the left across from Community Bank, next to the post office. 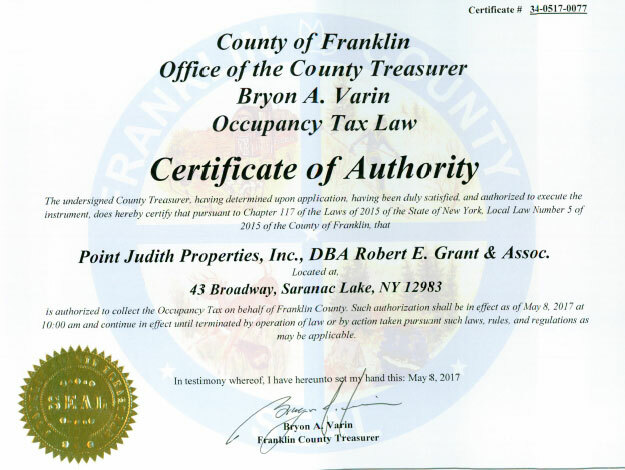 Franklin County, New York requires a 5% bed tax for all vacation rentals. This tax will be an additional charge added to the posted amount . Lease Agreement . Your Individual lease will be sent by mail for you to sign and return after you send your 50% deposit. Sample lease agreement for a pet friendly property. All prices & rental information subject to change without notice. Please Note: Keys for the rental units are NOT available before 3:00 pm on the Saturday of your check in. Rob Grant & Assoc. will not be held responsible for any 'Acts Of God' resulting from weather related events or natural disasters of any kind which may result in the damage to property or disruption of services. Rob Grant & Assoc. will also not be held responsible for any man made disasters of any kind which may result in the damage to property or disruption of services. We have a NO CANCELLATION policy. Once you make your reservation and confirm it with your deposit check, AND the rental agreement is signed by both the property owner and the tenant, your rental is binding and in effect. There are no refunds! However, if a cancellation is necessary due to an emergency all attempts will be made to re-rent. If successful your deposit will be returned less a $250 administration fee. There is a free hot spot in Saranac Lake at the Chamber on River Street and the Saranac Lake McDonalds is also a WIFI hotspot. The Saranac Lake free library has computers online that you can use. 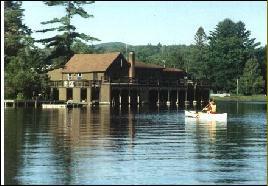 Lake Placid also has hotspots at several of the larger hotels. Please note: The information provided about the rentals on this site is as acurate as possible. However, at times an owner will change something and not remember to share this information with our office. Interested in owning your very own vacation rental property? 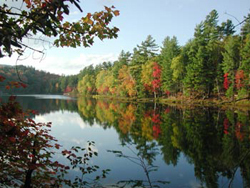 Click here for a large selection of Adirondack properties for sale! Preview these great waterfront Camps and vacation rentals! Click here to read a testimonial from a happy vacation rental!